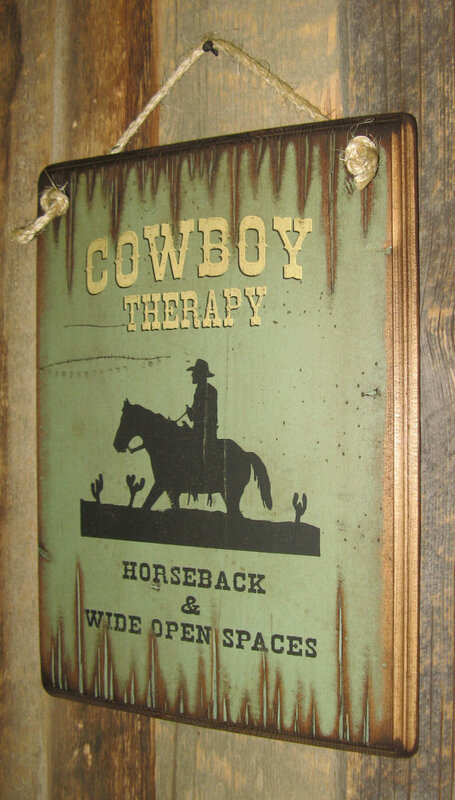 Cowboy Therapy, Horseback and Wide Open Spaces! 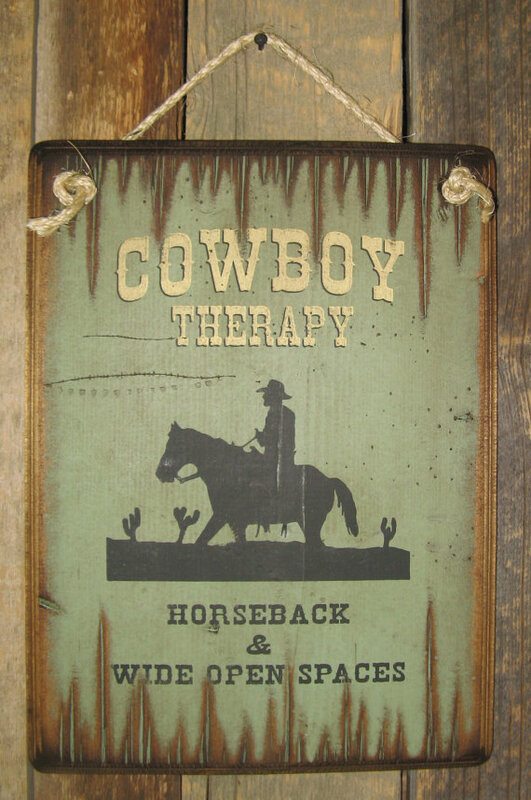 This is my idea of therapy! Horseback in the middle of nowhere!! 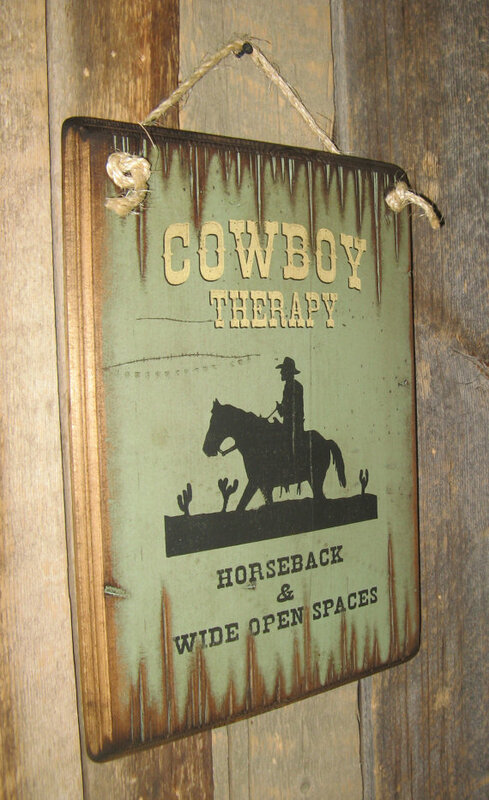 This green background sign measures 11×15 and comes with the grass rope hanger for easy hanging. Handcrafted with pride!